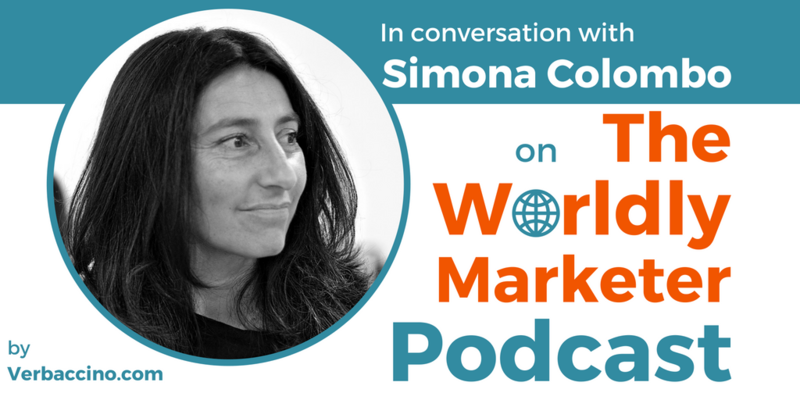 Simona Colombo may well be the envy of coffee-loving marketers everywhere. Born and raised in Italy, she has spent time in London and in Paris – studying and practicing her craft. In 2014, Simona took on the role of Group Marketing & Communications Director atGruppo Cimbali SpA. Based in Milan, Italy, Gruppo Cimbali has established itself as a global leader in the design and production of professional coffee machines. With a distribution network that spans over 100 countries, the company offers solutions for the hotel and catering industry worldwide. As the senior marketing expert for Gruppo Cimbali, Simona leads the company’s digital transformation – from strategy to implementation – which includes websites, social media accounts, content creation, and SEO. She is also a mentor at the Forum della Meritocrazia. Simona is multilingual, she’s Milanese, she’s passionate about diversity, and she admits to having itchy feet. If you’re ever in Milan, take her up on her invitation to visit MUMAC, Gruppo Cimbali’s museum, which boasts “the world’s most complete collection of professional espresso machines”.